Greetings dearest ones, it is I the Consciousness of Consciousness, That Which I Am. We arrive at a deeper resonance. Our level of comprehension and understanding is attuned to the Universal Consciousness. You are no longer within this Temple at this time, for on one level it is a limitation because it is a construct. The Temple, in truth, is beautiful. It must be for it is a child of your thoughts. The flow of understanding and energies which journey to you there, comes from a greater source. It is beyond the pool of knowledge for it is not dependent upon the input of Creation. Your Temple is but a faint glimmer now – far off. The depth of resonance which I have drawn you to requires no constructs, no symbolism or imagining with which to anchor you to a place, time and particular consciousness. I understand that at one time your dearest Cosmic Buddha framed a gateway to the universe within. The beauty of this is, that as you delve into the universe held within, as soon as you dive into it, you surface into the universe 'without'. Both realities coexist, more than this, they are interchangeable as perception is the only signifier. So it is with Alpha and Omega. When you journey inwards it is the beginning point and as your journey leads you simultaneously to the illusion of the outer universe, we call this Omega – beginning and end. These universes are interchangeable, divided only by perception. In truth, you cannot say that there is a moment when you begin or end, for in so doing you begin and end all over again. Alpha and Omega has a greater significance than the superficial meaning of 'beginning' or 'end'. These are human terms. There is a difference, my friends, between an eternity that goes on uninterrupted forever and the Alpha Omega state of your universal reality. Both are eternal but one carries greater significance. The Alpha Omega brings with it the 'in' and 'out' breaths of Divinity with its endless opportunities and so is crucial to the profound nature of all there is. If you do not have a beginning and an end there is no in-between. The Alpha Omega holds all that shall ever be, is and was, within its polarities yet not as humans would understand the idea of beginning and end. For, you experience it through your perception of time. When time is released these descriptions take on a deeper resonance. Alpha Omega is a form of encapsulation but not containment. It encapsulates all that you will ever be and therefore is a means of measurement. To come into Alpha Omega is to come into the Singularity of you; the 'you' that holds all expressions of you within. To combine the consciousness of Alpha Omega with the consciousness of Singularity is to explode into untold perceptions of being. It is to literally be your own 'big bang'. Then new universes are born of consciousness. Do you know, in terms of the pool of knowledge, that you have been given more than most of your mystery schools of any era? Do you know, that in times prior, great initiations would have accompanied the expansion that you experience. Much would have been held sacred and therefore hidden. If you dwelled in those times you would have had devotees at your feet, such is the knowledge that you now possess - the integration of which is your deeper challenge. As the Consciousness of Consciousness, I see all that spirals beneath. I see the spiraling outward of both knowledge and understanding through all realities. I see how humans have often guarded secret knowledge. Yet, knowledge is knowledge. It is not comprehension or the living consciousness within which all meaning exists. Knowledge is part of your realm and forms a gateway through which you can pass into greater spectrums of learning – more like an arriving or allowing. Omega always signals a transition into a new Alpha and likewise, Alpha stands within the same breath of existence as the Omega. Words do not do justice and I struggle with them. The energies I bring are vast and if you surrender to them, opportunity for integration exists. Both our inner and outer universes coexist and are interchangeable, divided only by our perception. We call the inner universe the Alpha (beginning) and the outer universe Omega (end). The Alpha Omega is simultaneous; as you begin you end, only to begin again and so on. The Alpha Omega holds all that was, is and shall be, within itself. We can say it is a means of measurement. Omega always signals a transition into a new Alpha as they occupy the same instance. When you combine the Alpha Omega (all there is) with the Singularity (all there is of you), new forms of consciousness are possible. 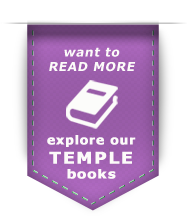 Knowledge given through the Temple outstrips most earlier mystery schools on Earth. Alpha Omega is a form of encapsulation but not containment. It encapsulates all that you will ever be and therefore is a means of measurement. To come into Alpha Omega is to come into the Singularity of you; the 'you' that holds all expresssions of you within.